One particular problem in large vocabulary continuous speech recognition for low-resourced languages is finding relevant training data for the statistical language models. Large amount of data is required, because models should estimate the probability for all possible word sequences. For Finnish, Estonian and the other fenno-ugric languages a special problem with the data is the huge amount of different word forms that are common in normal speech. The same problem exists also in other language technology applications such as machine translation, information retrieval, and in some extent also in other morphologically rich languages. 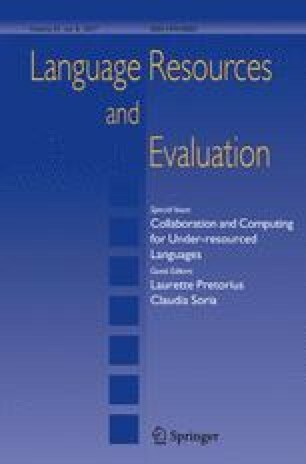 In this paper we present methods and evaluations in four recent language modeling topics: selecting conversational data from the Internet, adapting models for foreign words, multi-domain and adapted neural network language modeling, and decoding with subword units. Our evaluations show that the same methods work in more than one language and that they scale down to smaller data resources. This work was partially funded by the Estonian Ministry of Education and Research target-financed research theme no. 0140007s12, by the Tallinn University of Technology project Estonian Speech Recognition System for Medical Applications, by the Academy of Finland under the Grant Number 251170 [Finnish Centre of Excellence Program (2012–2017)], and by Finnish Cultural Foundation. We acknowledge the computational resources provided by Aalto Science-IT project. Creutz, M., & Lagus, K. (2002). Unsupervised discovery of morphemes. In Proceedings of the ACL 2002 workshop on morphological and phonological learning, MPL ’02, Vol. 6 (pp. 21–30). Association for Computational Linguistics, Stroudsburg, PA, USA. doi: 10.3115/1118647.1118650. Klakow, D. (2000). Selecting articles from the language model training corpus. In Proceedings of the IEEE International Conference on Acoustics, Speech, and Signal Processing (ICASSP 2000), Vol. 3 (pp. 1695–1698). IEEE Computer Society. doi: 10.1109/ICASSP.2000.862077. Moore, R. C., & Lewis, W. (2010). Intelligent selection of language model training data. In Proceedings of the ACL 2010 Conference Short Papers, ACLShort ’10 (pp. 220–224). Association for Computational Linguistics, Stroudsburg, PA, USA. http://dl.acm.org/citation.cfm?id=1858842.1858883. Sethy, A., Georgiou, P. G., & Narayanan, S. (2006). Text data acquisition for domain-specific language models. In Proceedings of the 2006 Conference on Empirical Methods in Natural Language Processing, EMNLP ’06 (pp. 382–389). Association for Computational Linguistics, Stroudsburg, PA, USA. http://dl.acm.org/citation.cfm?id=1610075.1610129. Shi, Y., Larson, M., & Jonker, C. M. (2014). Recurrent neural network language model adaptation with curriculum learning. Computer Speech & Language. doi: 10.1016/j.csl.2014.11.004.